Amazon is here with a great deal offering Safe-O-Kid Pack of 2 Mosquito Repellent Spray, 6 FREE Mosquito Patches at Rs 149. Safe-O-Mos range of mosquito repellent spray/ rollers are the safest way to protect little ones from mosquito bites both inside house and outside. Grab Now…!! 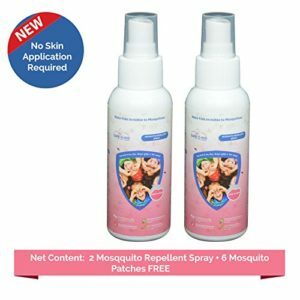 How to Buy Safe-O-Kid Pack of 2 Mosquito Repellent Spray?